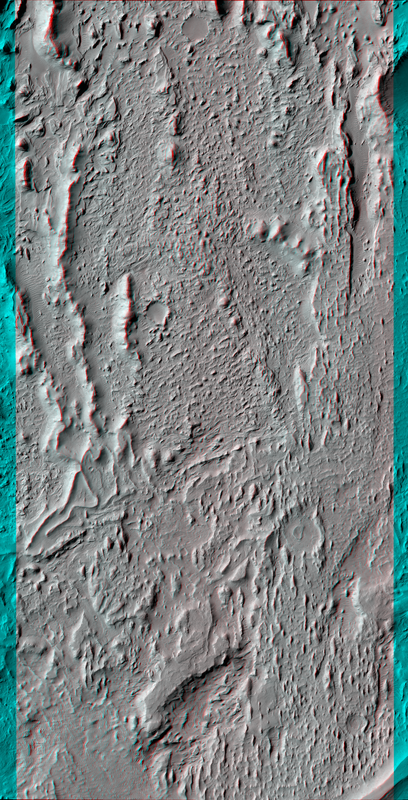 This image shows wind-eroded layered deposits in Aeolis Mensae. Aeolis Mensae is located close to the volcanic region of Elysium and near the boundary of the high-standing, heavily cratered southern hemisphere and the low, sparsely-cratered plains that cover most of the northern hemisphere of Mars. Aeolis Mensae is well-known for its unusual features commonly related to wind activity on the planet's surface. 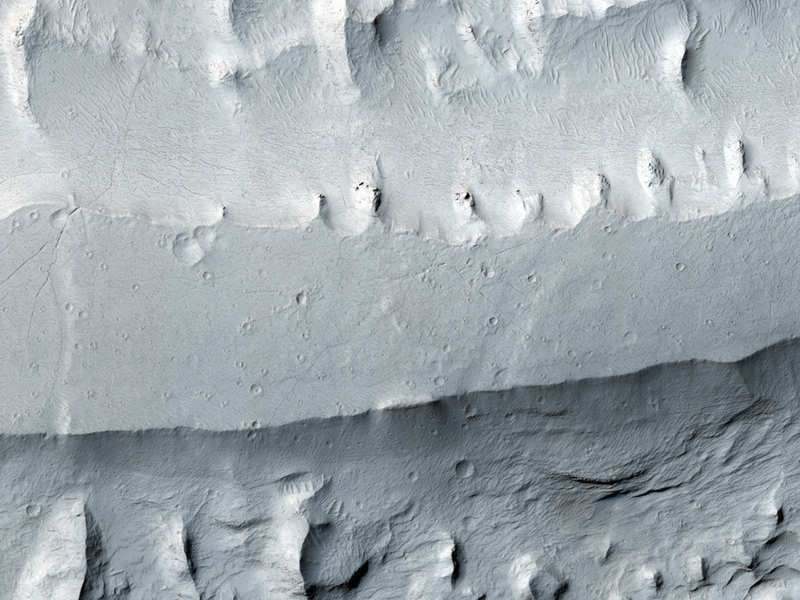 Near the bottom of the image is a long, sinuous, flat-topped feature that has been exposed by wind erosion. 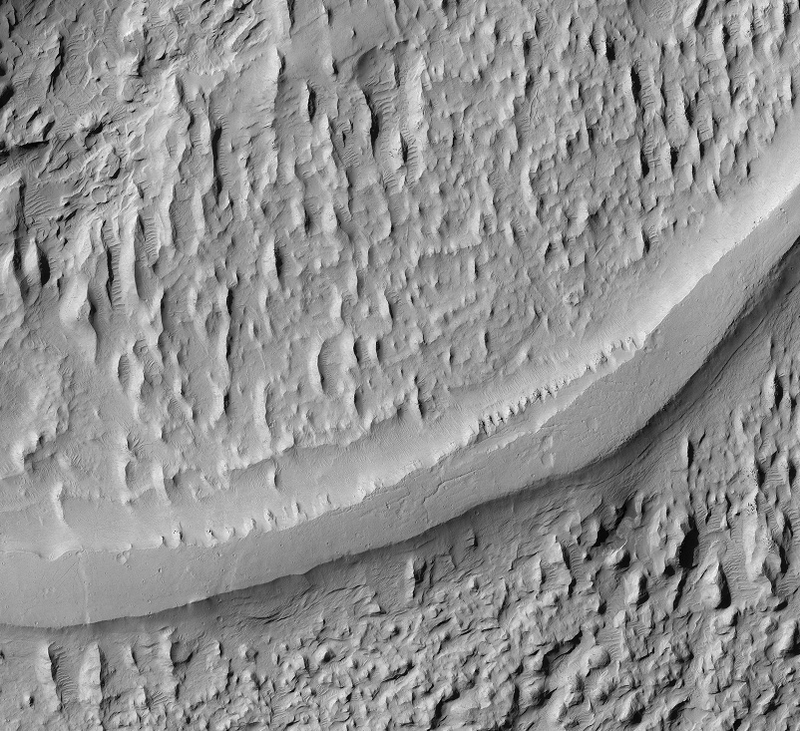 This sinuous ridge is one of several similar ridges in the region that are believed to be former stream channels now preserved in inverted relief. On Earth, inverted relief occurs when formerly low-lying areas become elevated because the original depression is filled with materials, such as lava, that are more resistant to erosion than the surrounding terrain. In the case of stream channels, the streambed may contain larger rocks and/or sediments that have been cemented by chemicals precipitating from flowing water that remain, while adjacent fine material is blown away by the wind. In this location, it is most likely that water once flowed through this channel and deposited sediments that eventually filled the channel and became cemented. Over time, wind eroded the surrounding surface leaving the remnant channel exposed as a raised flat-topped ridge. On either side of the inverted channel and throughout the image are several linear, streamlined ridges oriented roughly south to north. These are yardangs, streamlined remnants of material shaped by the action of sand-blown sediments that eroded away weaker material. Landforms such as these are common in desert areas on Earth. The orientation of the yardangs indicates the primary wind direction. This is a stereo pair with PSP_010111_1735.